Wine culture may seem intimidating as an outsider, but it's easy to jump in and start learning more about one of the world's oldest beverages. 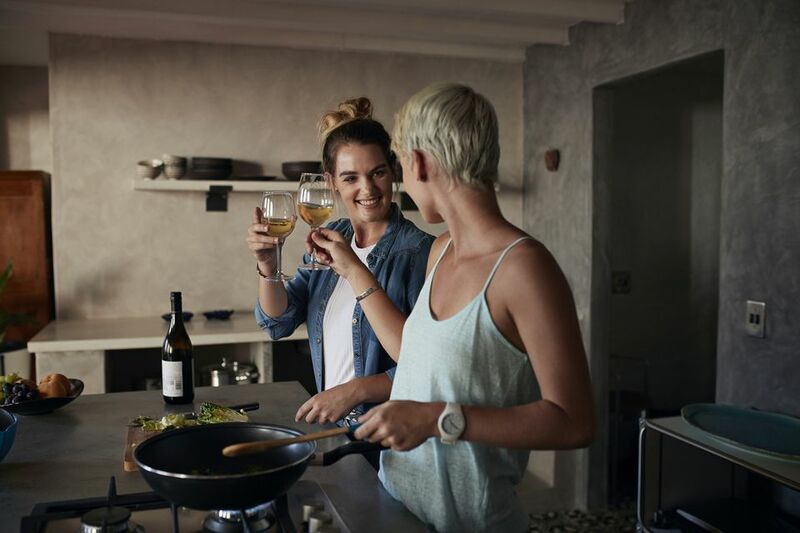 Wow your friends, surprise your dinner guests, or pick up some new knowledge with these interesting facts and figures all about wine. How much wine is in a bottle? Generally, a bottle of wine is measured in milliliters, with 750 milliliters being the standard amount in most bottles (or about 25 fluid ounces). How many grapes does it take to make your average bottle of wine? It takes about 2.5 pounds of grapes to make a bottle of wine. How many bottles of wine are in a case? There are 12 bottles in a case. How much wine is produced from one acre of grapevines? About 800 gallons of wine are produced from one acre in a vineyard. Where does the vanilla flavor in wine come from? If newer oak barrels were used in the winemaking process, the wines will often have a hint of vanilla in both the aroma and flavor. When was the corkscrew designed? It was designed in the mid-1800s. How many varieties of wine grapes exist in the world today? There are over 10,000 kinds of grapes. How much wine does California produce annually? California produces over 17 million gallons of wine per year. How many calories are in a 4-ounce glass of red wine? A glass of wine has approximately 85 calories. How much wine is in a single barrel? There are 60 gallons of wine in a barrel. How many grapevines generally make up an acre? There are about 400 grapevines planted in an acre. How many standard wine bottles equals one Nebuchadnezzar? Twenty standard 750-milliliter bottles are in one Nebuchadnezzar, an oversize wine bottle. A magnum typically holds 1,500 milliliters of wine or the same as two standard bottles. Traditionally, what type of French wine is made from the pinot noir grape? Burgundy is made from pinot noir grapes. What is fortified wine? Fortified wine has brandy or another spirit added to a wine base. It is often a sipping drink, enjoyed before or after a meal. Are table grapes used to make wine? No; table grapes, or the grapes you find in the supermarket, have thinner skins and more seeds than the grape varieties used to make wine. If you enjoy learning about wine, it can be worth investing in a wine course or attending tasting events in your area. A free, simple way to gain more insight about wine is to speak with employees at your local wine store. These people are often very knowledgeable and passionate about wine and local vineyards and may offer tastings for you to sample. If you can visit an area with vineyards, check them out for tastings and tours through their grounds to learn more about wine and the winemaking process. Finally, there are wine enthusiast clubs in many areas that you can research and join. Membership allows you to share your interests with like-minded people, taste a variety of wines, and perhaps even visit vineyards together.